I don’t mark the change of seasons with a change of reading habits, which is a sign either of deep commitment or being boring. So with the start of June my habits have continued on as before, but with new material. One thing I should mention is that, for the past two or three years, I have deliberately read very little in the way of current English-language fiction. There are various reasons for this, but the main two are that if I just stick to contemporary English fiction, I am missing out on the huge output in other languages (even though only a fraction of it is translated), and also because that is yet more time given up when I could be tackling older literature I haven’t read, including works we call classics. And of course I am slightly less likely to read books where the hype has been better than the book itself. 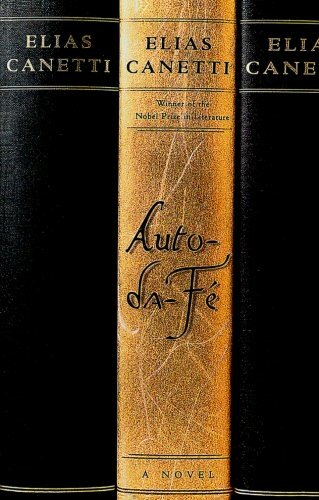 Elias Canetti, Auto-da-fé (1935). Canetti was a Bulgarian born to Spanish Jews who were Turkish citizens, and he later moved to England but wrote only in German. That alone is promising. This was his only novel, and it is an absorbing and unsettling depiction of an authoritarian mind unraveling through its own obsessions, and also a relatively rare example of Expressionism in literature. The central character, Peter Kien, is a brilliant Orientalist who thinks his thousands of books are alive, marries his housekeeper in order to teach her a lesson, and falls asleep each night while fantasizing about a man being sawn in half. Roberto Bolaño, Third Reich (1983). A novel about a man obsessed with war-strategy board games, this is a true summer read as it describes the gradual collapse of a summer holiday in Spain. Includes an uneasy girlfriend, a sinister pair called The Wolf and The Lamb, jokes about ice cream, a mysterious surfing death, and an ominous quasi-antagonist called El Quemado (The Burned One). Jonathan Edwards, Sermons (1731-1757). A pleasure to take the occasional dip in, like a wading pool filled with sulfur. “It is nothing but the meer Pleasure of God, and that of an angry God, without any Promise or Obligation at all, that keeps the Arrow one Moment from being made drunk with your Blood.” And so on. From the man who invented the Hellfire sermon, so a true literary innovator. 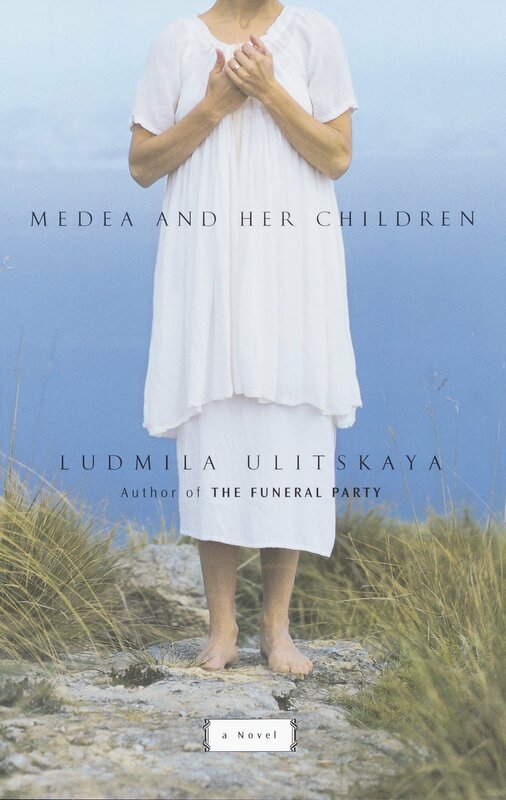 Ludmila Ulitskaya, Medea and Her Children (2004). The story of a family in the Crimea, my first read of this renowned Russian novelist. Junichiro Tanizaki, The Makioka Sisters (1943). Also a first read for me (from this author), and virtually unknown in the west despite apparently being one of the greatest Japanese novels ever. The novel deals with the long decline of an aristocratic family in the years leading up to WWII, through the eyes of three young women. Michael Kaan was born in Winnipeg, the second child of a father from Hong Kong and a Canadian mother. He completed a degree in English from the University of Manitoba, later completing an MBA in Health Economics from the same institution. He has worked as a healthcare administrator since 2000, primarily in mental health and health research. He currently manages a mental health clinic. His father died in 2006, and Michael came into possession of his memoirs shortly thereafter. The Water Beetles, his first novel, won the 2018 Amazon Canada First Novel Award, the 2018 McNally Robinson Book of the Year, and the 2018 Margaret Laurence Award for Fiction. It was also shortlisted for the 2017 Governor General's Award for Fiction and the 2018 Eileen McTavish Sykes Award for Best First Book, was named a National Post Best Book of 2017, and was a Walter Scott Prize Academy Recommended Historical Novel of 2017.